Tokyo, June 19, 2018 — Casio Computer Co., Ltd., announced today the release of a new addition to its EDIFICE line of high-performance sports chronographs that combine dynamic design with advanced technology. 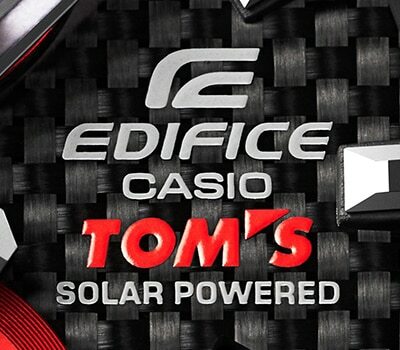 The new EQS-900TMS solar chronograph is a collaboration model with the TOM'S Racing Team. 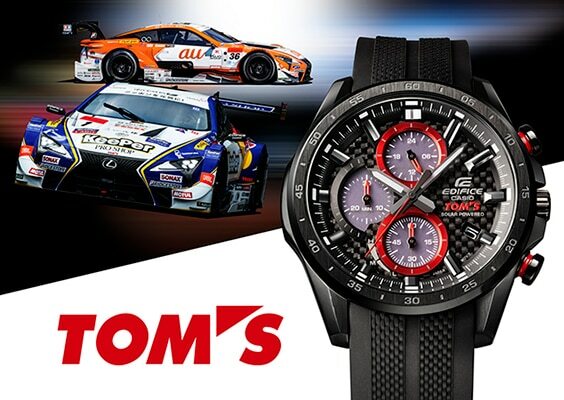 TOM'S was established in 1974 and has carved out a reputation as one of Japan's premier racing teams. 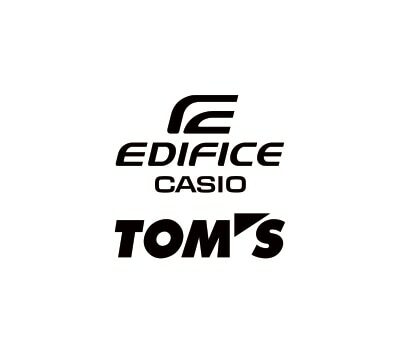 Casio has been lending the support of the EDIFICE brand as an official partner of TOM'S since 2013. The team's lineup includes the LEXUS TEAM KeePer TOM'S racing car, which captured the 2017 Championship in the Super GT Series, an event at the pinnacle of motorsports in Japan. 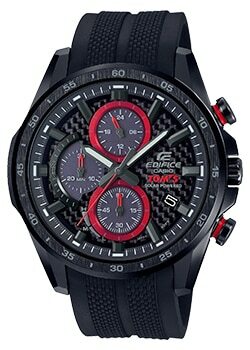 The EQS-900TMS employs a sleek black treatment accented by striking red highlights on the inset dials and buttons, employing the red team color of the TOM'S Racing Team. 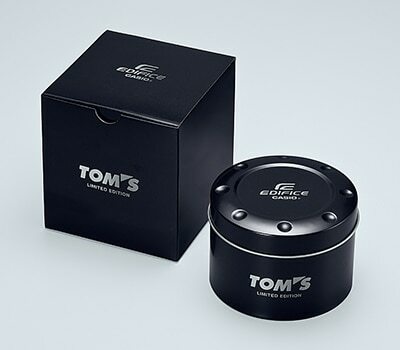 The EQS-900TMS is sure to meet the expectations of motorsports fans with its exclusive features such as a dial and back case inscribed with the TOM'S logo and special packaging.